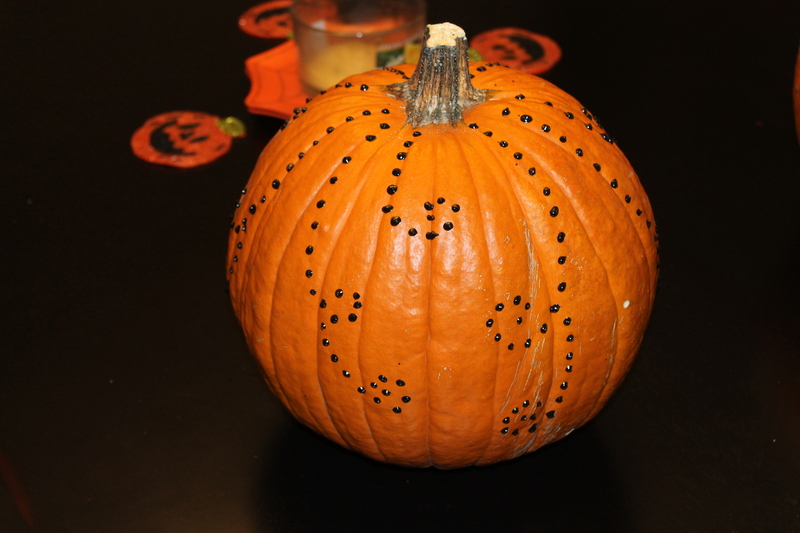 Who knew that bedazzling pumpkins would take hours!? I did not! 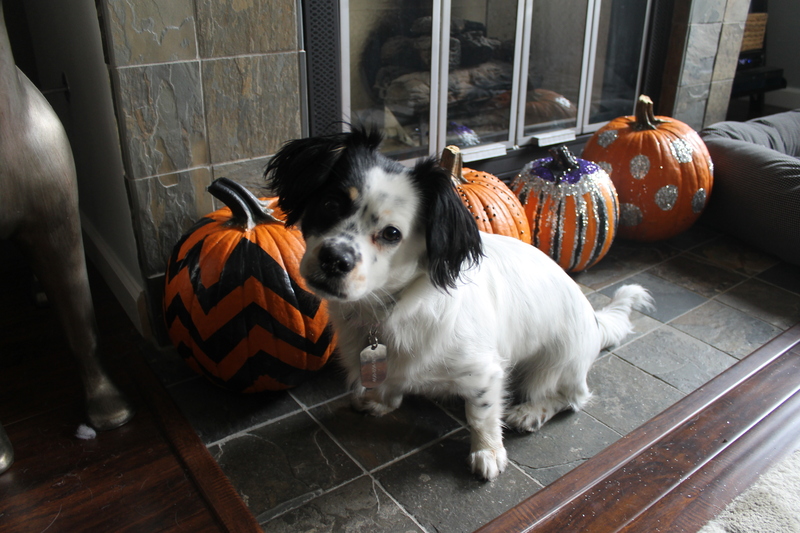 Needless to say, after 5 hours of glitter everywhere- the pumpkins were complete. 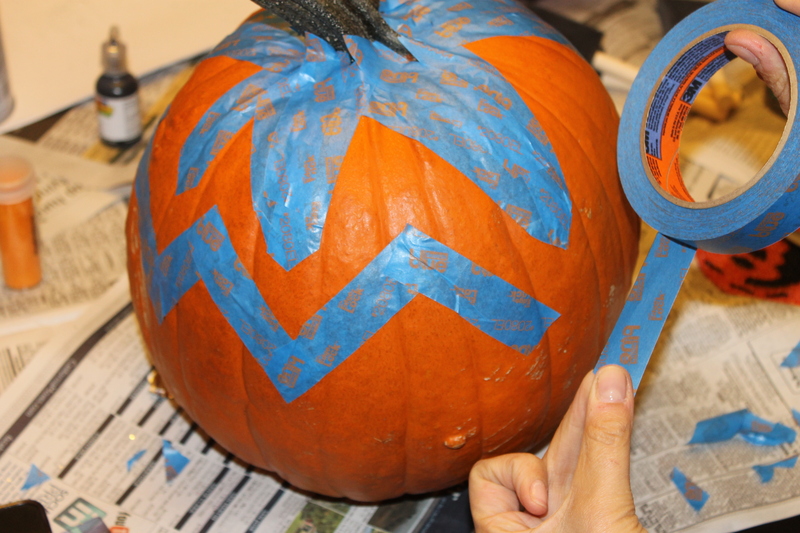 Every year I forget how much effort it takes to carve the pumpkin- here I thought I was getting away from it. Yeah Right! 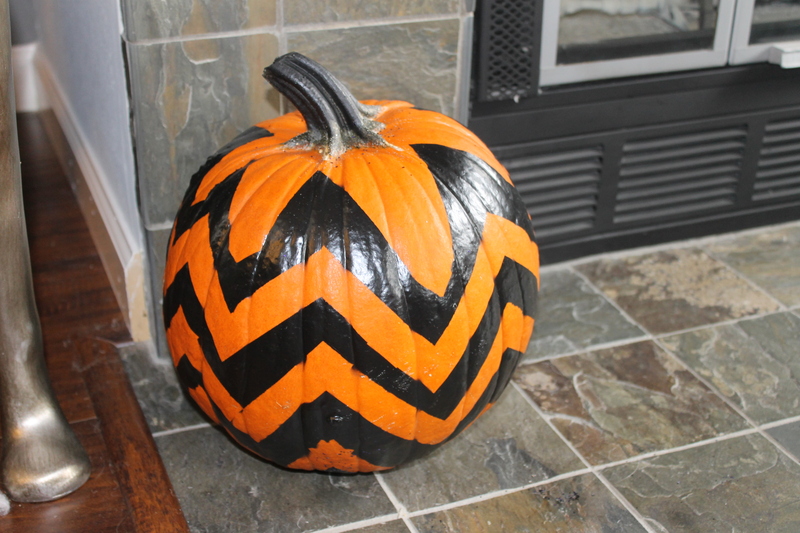 The Chevron print is all the rage right now- I would have preferred a white pumpkin with the chevron design, but I couldn’t find one big enough. 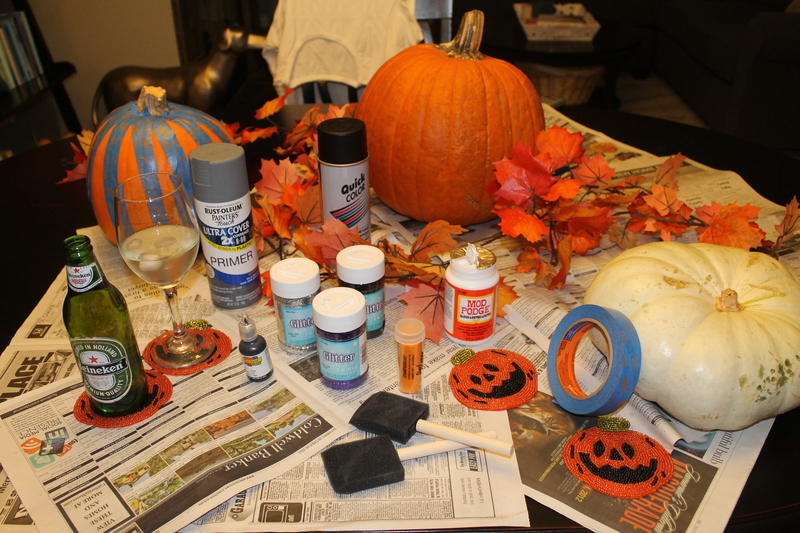 I am probably the least craftiest person on the planet, so if you do have friends that are into arts and crafts, you should probably ask for their help. 🙂 Good luck if you try this at home! Thanks!! 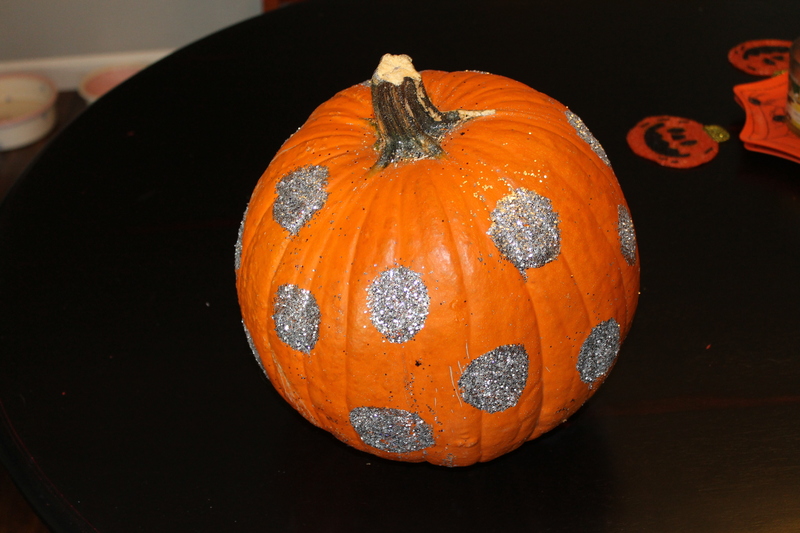 Next time I will read directions on how to bedazzle lol, it took much longer than I thought it would! !